Semax is a drug which is used mostly in Russia and Ukraine for a broad range of conditions but predominantly for its purported nootropic, neuroprotective, and neurogenic/neurorestorative properties. 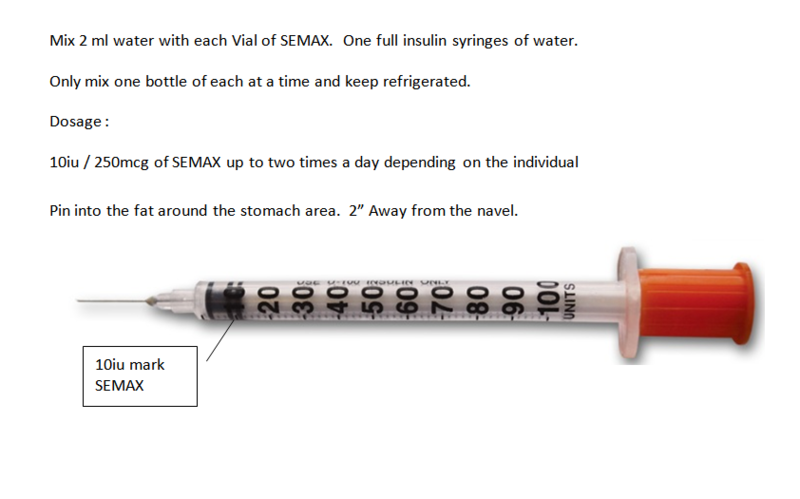 Semax has not been evaluated, approved for use, or marketed in other countries such as the United States. Semax is a new heptapeptide nootropic that shares a similar history, potency and chemical make-up with Noopept powder. Semax was developed in 1982 by a research team from the Institute of Molecular Genetics at the Russian Academy of Sciences in Moscow. It was initially pursued as a treatment for stroke victims suffering brain damage but was subsequently determined to promote significant cognitive enhancement in healthy individuals as well. This nootropic stimulates the Central Nervous System and increases memory, focus, mental and physical performance, and analytical skills. It is regarded as much safer than other stimulants and does not cause negative side effects like Adderall, Ritalin or Ephedrine.